Part one of our guide to men’s SS13 footwear trends focussed on the high summer silhouettes that were being pushed by designers during the global fashion week previews. Flip-flops, espadrilles and sandals are classic height of summer styles that offer obvious benefits in extreme heat and at beach locations, making them a worthwhile addition to any holiday wardrobe. Today, we continue our breakdown of the key footwear trends for the season by switching our attention to more everyday options. The type of shoes that are versatile enough to be paired with everything from jeans and chinos to shorts and trousers, and will ground the majority of your go-to summer looks. Nautical is a perennial spring/summer ‘trend’ and 2013 is no exception, with nautical influences and Breton stripes proving extremely popular with both designers and the high street alike. 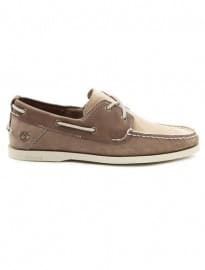 Of course, with nautical influences rife within the industry, it comes as no surprise to see the boat shoe (also known as deck shoe or topsider) trending. Traditionally constructed with a canvas or leather upper, boat shoes feature rubber soles with a siping pattern cut into them, which enhances grip on a wet boat deck. 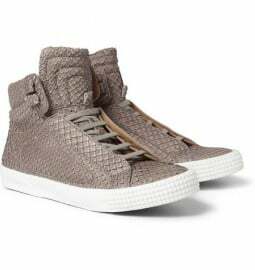 Other defining features include a lace-up fastening and lace detailing threaded around the side of the shoe. Over the past few years boat shoes have become a hugely popular style for men – especially during summer, where they are often worn without socks – to the point where the market became so saturated that it led to many style-conscious men looking for a more unique alternative. However, they remain a key silhouette for SS13, and this year there are a few new variations to look out for that will help separate your pair from the crowd. Louis Vuitton were one of the major design houses to include boat shoes in their runway showcase for SS13, featuring all-white, chunky styles that were reminiscent of a low cut leather sneaker. A solid option for those that want something similar to a trainer yet inherently smarter, this style of boat shoe could easily be substituted into the majority of your current casual looks. Key styles this year include all-white versions à la Louis Vuitton, block-coloured styles (often with contrast soles), as seen in Esquire‘s feature, and a subtle move away from the classic tri-colour styles to subtler two-tone (often tonal) variants. The loafer is another silhouette making waves this season. Historically associated with Ivy Leaguers and preppy, all-American-inspired looks, the loafer, along with its many variants, has become a popular choice of footwear for the modern gent. The growing popularity of the loafer stems from the fact that it is a stylish and refined silhouette that is extremely easy to wear. Able to be dressed up for a day at the office just as easily as it can be worn sockless at the weekend, this versatility is only matched by its practicality: lightweight, low cut and comfortable, it makes for the perfect spring/summer shoe and can easily transcend through autumn/winter when worn with socks. Turning to the designer collections for SS13, it was the 60th anniversary of the infamous Gucci ‘Horsebit loafer’ – an iconic design that is instantly recognisable due to its minimal aesthetic and metal detailing across the front of the foot. To celebrate the anniversary, Gucci featured them in classic brown, black, summery whites and even snakeskin effect blues and greens. 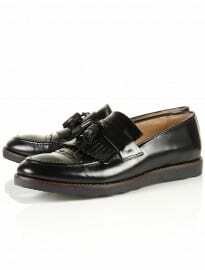 Ermenegildo Zegna also included classic tan/black tasselled loafers, along with more contemporary geometric print styles and contrast-coloured versions featuring traditional fringing on the front of the shoe. Meanwhile, Hermes and Emporio Armani both displayed a slightly different take on the loafer. Hermes featured loafers in luxurious, ultra-soft tan/black leather – with the cut making the shoes appear almost slipper-like. 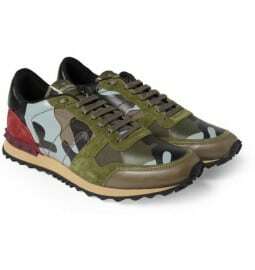 Sports shoes, hi-tops and trainers were, quite surprisingly, extremely popular during the various fashion weeks for SS13. Normally, high fashion designers tend to steer clear of the trainer in favour of more dramatic and stylish (rather than functional) footwear choices – but SS13 seemed to be an exception to the rule. This suggests that the resurgence of the sports shoe and trainer is likely to continue well into autumn/winter 2013. Raf Simons was indeed one designer who favoured this type of footwear for SS13, with the designer pairing colourful sports shoes with suiting and tailoring – albeit baggy tailoring for a more casual take on the suit. Similarly, the collection by Salvatore Ferragamo featured extremely chunky trainers in bright pastel and all-white shades. Adopting a similar approach to the trend were Versace, which displayed hi-tops in bright colours with cut-outs on the uppers, creating a type of hi-top/sandal hybrid. Nonetheless, the article goes on to showcase individual trainers by Balenciaga, Valentino and Salvatore Ferragamo as examples of high fashion design houses which have got the notion of the ‘fashion trainer’ right. In summary: a surprising, yet welcome addition to the footwear trends for SS13, adding another aspect of variation. Based on the above, the key style for SS13 (and AW13) looks set to be the ‘fashion trainer’. Created by high fashion labels, rather than the major sportswear brands such as Nike and Adidas, these styles are often bold, colourful and designed to be noticed. Whether you opt for hi- or low-cut versions, pair them with stripped-back pieces to really let them shine. So there we have it, the six most-likely footwear trends for SS13. 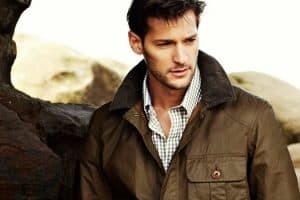 From smart to casual and somewhere in between, there is something for every personal style and taste this year. As always, we would like to hear your thoughts and opinions on summer footwear. 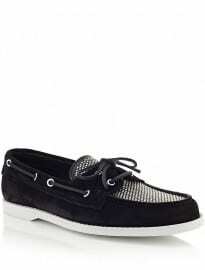 Are you a fan of deck shoes and the nautical aesthetic as a whole? Or do you prefer smarter and more refined loafers? Perhaps you are pleased to hear that the sports shoe is set to become the go-to style for 2013? Or do you think that trainers belong only in the gym?